And you thought the Challenger was the first pony car with AWD. Turns out the new Dodge Challenger isn’t the first all-wheel drive muscle car. That honor belongs to Ford, only it never actually built a production version of its AWD Mustang prototype. What’s more, Ford experimented with this back in 1965, mere months following the original pony car’s debut. Hagerty recently learned that not only was the four-wheel drive Mustang prototype drivable, it still exists today. Not long after the Mustang came out and smashed sales records, Ford product planners were interested in additional design Mustang concepts. 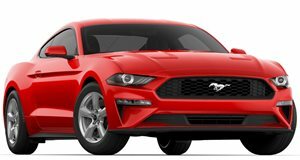 Examples included a Mustang with two-seats only and even a four-door version. But then Ford became aware of Ferguson Research, a UK-based company that had recently developed the first full-time four-wheel drive system for passenger cars (its previous experience was with tractors). A couple of former race car drivers were the ones who came up with the idea, and they further adapted an anti-skit braking system, originally for aircraft, for car use. The result was the Ferguson Formula, a 4WD system that proved itself in an F1 car in 1961 with none other than Sir Stirling Moss at the wheel. This caught the attention of Ford, so in late 1964 it shipped a pair of identical ’64 Mustangs powered by the 289 V8 to the UK. One was converted to 4WD while the other remained stock for comparative purposes. The converted Mustang didn’t look any different from the outside, but the 4WD system proved itself, specifically on slippery surfaces. The anti-skid brake system was, more or less, a predecessor of sorts to anti-lock brake technology. So if the 4WD Mustang prototype was a success, why didn’t Ford send it to production? Likely because adding the optional system would’ve cost too much money, at least $500, at the time. Just to compare, customers could upgrade to that 289 V8 for $328, and it didn’t find too many takers. But the original 1965 4WD Mustang still exists today, and for many years resided at the Ferguson Museum on the Isle of Wight. It was sent back to the US in 2009 and is now on display at the Tampa Bay Auto Museum. Photos courtesy of Tampa Bay Auto Museum via Hagerty.